These parquet pieces were designed by Johnson Naylor and have been lightly fumed. The panels are 15mm thick x 600mm long and 300mm wide, They have a Tongue & Groove all the way around for easy installation, They can be laid in different formations but primarily like the picture below. 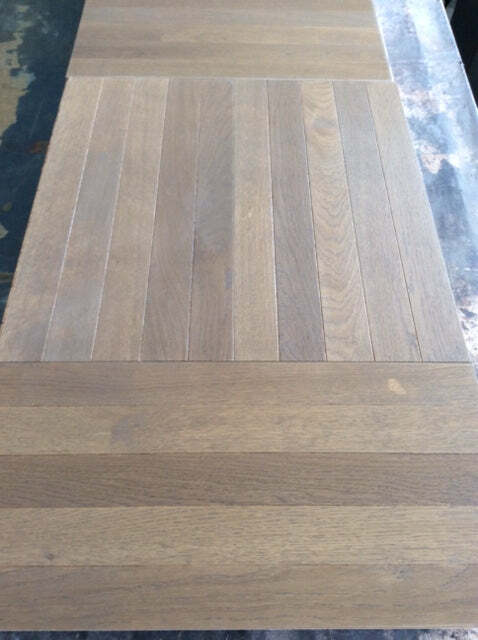 A drawing will be added in due course showing an example of these panels in an apartment, yet another example of design innovation in engineered wood flooring.